We had a lovely stay seeing the entire local area. Great for walkers. We arrived a week too early to be able to access the ferries to go to Split [early April] . The apartment was very well equipped allowing for people to stay in or go out. The owners were very helpful wanting to ensure we had a good time. excellent location, we stayed for a month and felt like family! What a wonderful place to stay, we were welcomed like family by Nic, Lydia and the family. 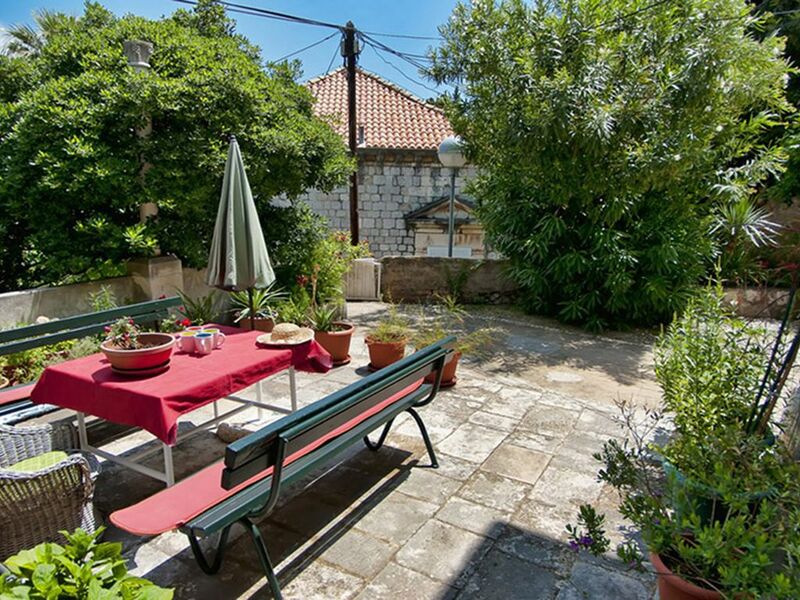 The apartment is situated nearby to the wonderful Park Gradac, and within walking distance to the heart of Dubrovnik’s old town (yet far enough away from the busy main street to enjoy some peace and quiet after a busy day). The apartment is very functional, great bathroom and kitchen and spacious bedrooms. Nic is a legend - a really wonderful host. We shared a meal or two, enjoyed many nips of the local drop and listened to some amazing stories. It was a delight to chat with Nic each day, not only was he born at the apartment but was kind enough to share his wealth of local knowledge and the history of Dubrovnik with us. We wandered around with an entirely different perspective. We were travelling with our 20month old toddler and were kindly offered a stroller to borrow, and some wonderful toys that our little guy loved throughout our stay. We would highly recommend staying here on your visit to Dubrovnik. The location of this property is fantastic. Just outside of Old Town. The apartment is located in a beautiful old home with a beautiful garden with a brand new bathroom and a big kitchen - for European standards. - If you have lots of luggage, be prepared to climb a few steps. Certainly not as bad as Old Town. - From what we could determine they only have a few tv channels - none of them are English. So no cable. - It's somewhat difficult to find as access is a little alley off the main road. Staying in Old Town is a pain as it is super crowded so trying to find your place is frustrating and when you do, be prepared to climb a mountain of stairs which is not great when you have heavy luggage. Would give this a 4.5. Lovely apartment in ideal location. Only 5 minutes walk from Pile gate but set in a lovely garden away from the noise and crowds. The apartment is very clean and well equipped. The owners live next door and were friendly and welcoming and arranged our transfers to and from the airport. Ideally situated for exploring the old city and close to the nearest beach but was also nice to relax in the garden. Highly recommended.. Relaxing home away from the busy city..but just close enough! This house was about a 5 minute walk to the old city, but when you get to the property you feel like you are in an oasis. The gardens and decks make you feel like you are in another world. The home was very clean, the hosts were amazing and friendly and our kids left feeling like they were part of their family!